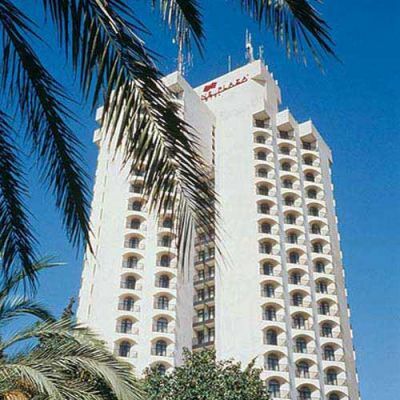 The Crown Plaza Jerusalem Hotel is situated at the entrance to the city. 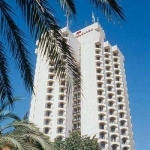 Special features include Miniature golf, tennis courts, Freckles club for kids, swimming pool (covered & heated in winter), business center offering up to date business facilities, health club and four lovely restaurants to choose from. 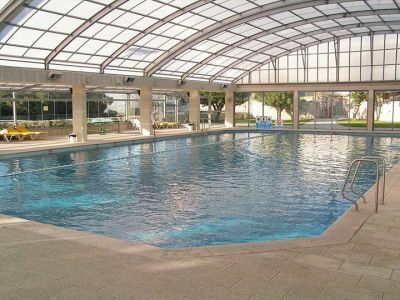 An Outdoor pool that is surrounded by lawns, heated and covered during winter. 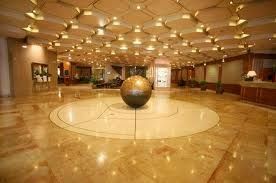 A luxurious Business Center, overlooking Jerusalem and offering a variety of services. Wireless High Speed Internet access (WiFi) is available. 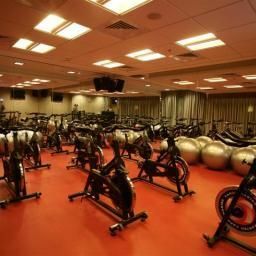 A spa including a well equipped gym offering spinning, aerobics and yoga classes. Sauna and tennis courts. All rooms feature a mini bar, safe, tea & coffee facilities and cable TV. There are 2 phones with voice mail and analog dial up connection. In the Executive rooms and Suites there are Work Desks with Lamps.